New matrix and high diamond concentration ensures fast polishing throughout pad's life. It works on granite, marble, concrete, travertine and other natural stones. 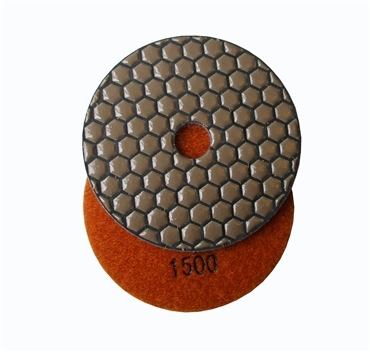 Pads 800#, 1500# and 3000# are designed for polishing.